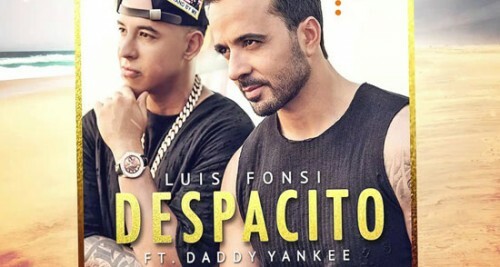 San Francisco, April 11 (IANS) Luis Fonsi and Daddy Yankee's music video "Despacito" that has been watched over five billion times on YouTube was hacked by cybercriminals among other famous music videos. The Spanish-language hit disappeared from Google-owned platform on Tuesday, with a pro-Palestine message from the hackers. The video was later restored. "A hacker using the online moniker 'Kuroi'SH' claimed responsibility for the breach in a series of tweets, revealing that he also hacked rapper Post Malone and YouTube CEO Susan Wojcicki," news.sky.com reported. The hackers changed the video's title to "hacked by Kuroi'Sh & Prosox". "Despacito" was among several other videos reportedly defaced with pro-Palestine messages by hackers. Artists including Adele, Taylor Swift, Shakira and Drake have had the names of their songs replaced with the message "Free Palestine". "Vevo's @YouTube account hacked; attacker just changed the title and thumbnail of #Despacito Song, the most-viewed YouTube video with over 5 billion views," tweeted The Hacker News. The hacker Kuroi'SH is believed to have hacked Google Brazil last year. "Vevo can confirm that a number of videos in its catalogue were subject to a security breach today, which has now been contained," Vevo said in a statement.